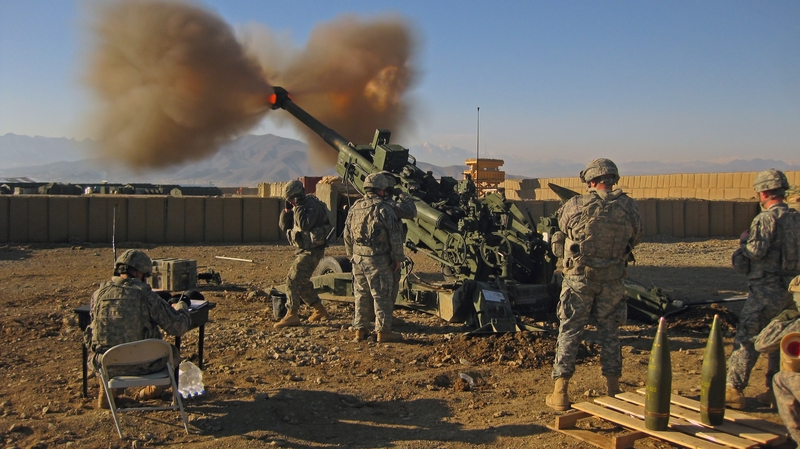 Artillery systems have played a critical role in modern warfare. Estimates place the total number of casualties inflicted by artillery during the conflicts of the 20th century at between 50 and 80 per cent. The vast majority of munitions fired from artillery systems deliver a high explosive payload and, increasingly, conflicts have taken place in urban areas. The use of explosive weapons in populated areas (EWPA) – particularly those weapons with potential wide-area effects – remains of significant concern to military forces, civil society, and other stakeholders. Following from a previous report commissioned by the International Committee of the Red Cross (ICRC), which examines the technical considerations relevant to the use of explosive weapons in populated areas, ARES has produced a second Special Report commissioned by the ICRC, building on the EWPA work and examining indirect-fire artillery weapons in greater detail. The report, titled ‘Indirect Fire: A technical analysis of the employment, accuracy, and effects of indirect-fire artillery weapons’ addresses a range of conventional artillery weapons firing explosive munitions, the use of which is not specifically prohibited or otherwise limited by international law (contrary to weapons such as landmines and cluster munitions, which do have specific restrictions imposed by international law). The weapon systems reviewed in this report are frequently encountered on contemporary battlefields, and commonly held by state security forces and armed non-state actors. 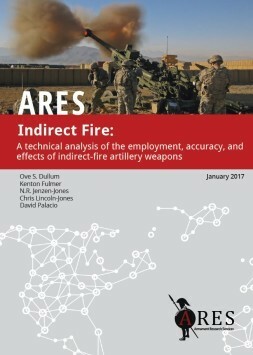 The purpose of the report is to provide background information on the technical characteristics of indirect-fire weapon systems, examine how and when they are employed by state and non-state actors, address and explain issues regarding their accuracy and precision, and describe their effects. It is meant to be a general reference document, intended for a comparatively wide audience, and not a handbook for technical specialists. Section 1 of the report provides a brief developmental history of indirect-fire weapon systems, and gives generic information for the broad categories of indirect-fire artillery systems – guns, mortars, and rockets. It explains technical characteristics general to artillery weapons, as well as those specific to the three primary types addressed. Section 2 discusses the primary considerations affecting the employment of indirect-fire systems, including their role, operational considerations and doctrine, and some discussion of sustainability and survivability. Section 3 of the report examines the accuracy and precision of indirect-fire systems, and the factors that affect this. It addresses concepts such as accuracy, precision, circular error probable (CEP), bias, and error. Section 4 of the report examines the effects of explosive munitions. It discusses the primary damage mechanisms of blast, fragmentation, and thermal energy; addresses second-order effects such as ground shock, secondary fragmentation, firebrands, and cratering; and introduces the common types of explosive munitions warheads and fuzes.